Please reply to the eclass email to reach me with your questions and comments. 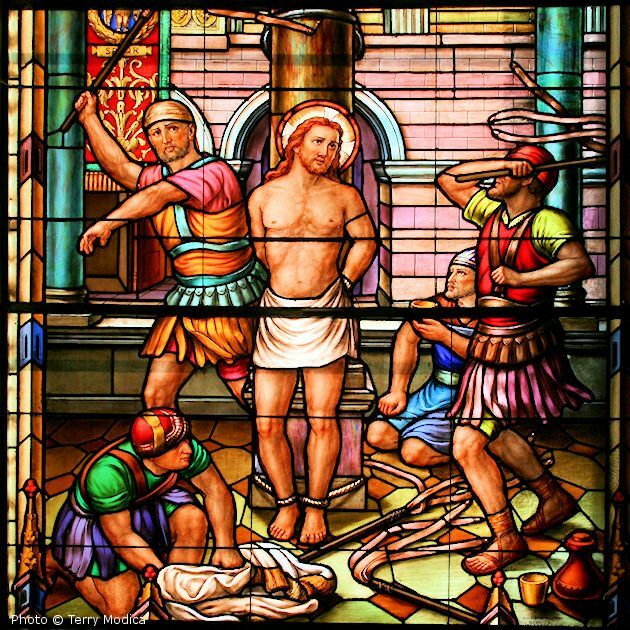 Listen, now, to this prayer meditation, reflecting on the ways that we have scourged Jesus. After thinking of the ways that others have scourged you, this will unite you to Jesus’ passion, and healing will begin. “Accused” by Regina Conklin of Ask for a Sign…. “A Prayer to Overcome the Messes We Have Made” was written by Terry Modica. The background music was composed and produced by Robert Metivier, narrated by Ralph Modica.